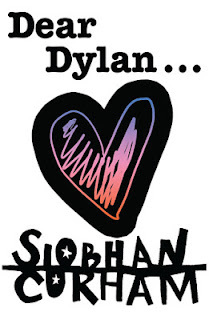 I really enjoyed Dear Dylan by Siobhan Curham. Fourteen year old Georgie tries to enjoy summer as much as is possible with an overbearing stepfather, weak mother and no one who listens to her. Though she isn’t given permission to go to the local drama workshop she desperately wants to go to, Georgie risks her stepfather’s fury by going anyway, taking her little sister with her who she is meant to babysit for the whole of the summer. The most surprising thing that happens in her summer though is when she emails the one person she idolises... and they email back! Told entirely in email exchanges, Georgie forms a slow and steady friendship with someone who she at first believes is Dylan Curtland; an actor from a famous soap. While the mystery of who Georgie was really was corresponding with, I thought the story might take a sinister turn, but surprisingly it didn’t. It turns out that it’s Dylan’s mother, Nan, than has been emailing Georgie and the two form an unlikely friendship, offering advice and support to each other as they go through tough times. Dear Dylan was a very quick read. The use of only emails to tell the story made the story fly by. 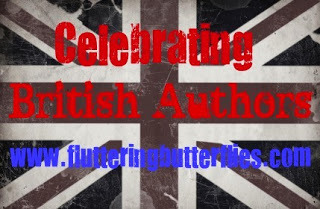 The story really gripped me; Georgie going to her drama workshop, her turbulent friendship with her best friend, her first romance and the most interesting aspect of the story; domestic violence. Such a tough subject to write about but Curham wrote the scenes perfectly through the eyes and with the innocence of a fourteen year old. Georgie grew throughout the story through hard lessons and with the help of Nan who offered sage advice at a time when she didn’t have any other adult to turn to. It is because of her unique friendship with Nan that Georgie’s life changes in the end. Overall, Dear Dylan was a wonderful, unique and refreshing story. Dear Dylan sounds like a gorgeous read Kulsuma. I love that it's written with emails. I read one of Meg Cabot's series which was written in an email format and absolutely loved it! Great review! Thank you for that brilliant review, Kulsuma! I didn't know that it contained elements of domestic violence, I'm even more curious now to read it. This is such a gorgeous novel and I loved that Siobhan brought some darker elements in. I think you'd love it Michelle!